Looking for retail space in Ybor City? Or office space in Yb or City? We are leaders in the Ybor City commercial real estate marketplace for more than a decade. Whether you want to sell or buy Ybor City properties, or have specialized requirements, we have the agents and resources to help you achieve your commercial real estate goals. 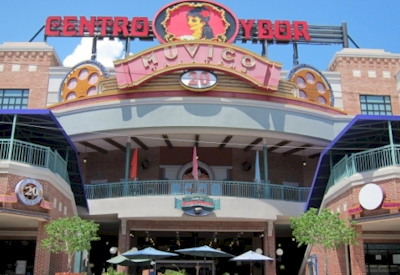 We maintain the largest inventory of Ybor City commercial real estate property listings. We provide services to business owners, corporations, single or multiple property owners and tenants large and small. Search our Ybor City Tampa commercial real estate for lease or purchase. View thousands of Ybor City Tampa office, medical, industrial, retail, apartment building, income and investment and other types of commercial real estate." Finding commercial real estate can be challenging. Our real estate agents are on call to research thousands of properties on your behalf. We will find that perfect building that fits your needs, be it for Ybor City commercial loft, retail space or medical space. Once we find the right space, we will work with you to negotiate the best deal and terms. Our expert agents will navigate you through the complexities of Ybor City commercial real estate market. Search Ybor City commercial real estate listings. Buy, or lease commercial real estate in Ybor City including retail space, office space, industrial, medical, vacant land. Search Ybor City retail space, Ybor City office space or any commercial real estate in Ybor City or call 813.599.3622.